Dead or Alive 6 sets out to put the franchise in a better light. focusing more on the core fighting rather then the fan service it’s become synonymous with. Dead or Alive 6 puts the fighting first, introducing new mechanics while keeping the core counter system in place. These improvements make Dead or Alive 6 the first great fighter of the year. Dead or Alive has an interesting way of telling it’s story through scenario selections. Each scenario is broken down into chapters, and specific characters have their own scenario in each chapter. So, you can see what each character is doing around the same time an event is going on. I enjoyed this type of story telling. It’s a nice change of pace from what Netherrealm has done with Injustice and Mortal Kombat. The story takes place after the events of Dead or Alive 5. Zach is preparing to launch the Dead or Alive 6 tournament. Meanwhile, nefarious individuals are looking to kidnap Honoka and use her unique ability to learn other people’s fighting moves for their own schemes. The story itself isn’t that great, and some of the scenes are’t not animated that well. A lot of them also just lead into fighting for no apparent reason. Characters will be having tea at a cafe or have a simple disagreement and decide to to just fight it out. It’s almost as if the developers had to force a confrontation when they didn’t need to. 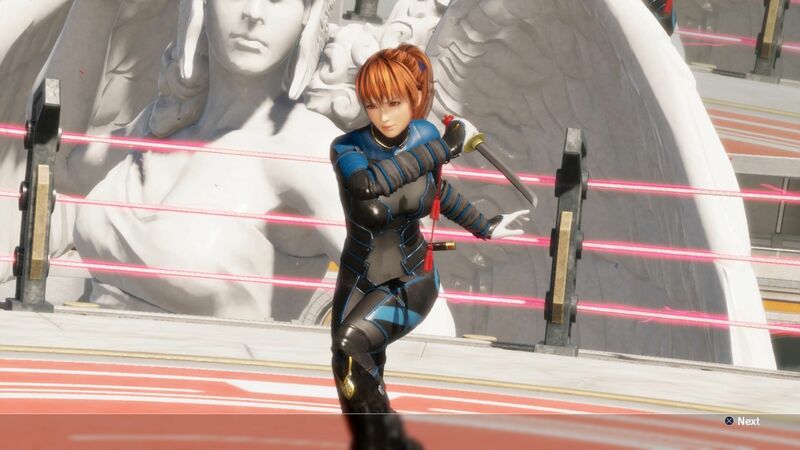 Dead or Alive 6 tries hard to prove itself and move away from the “fan service” and focus more on the core fighting. 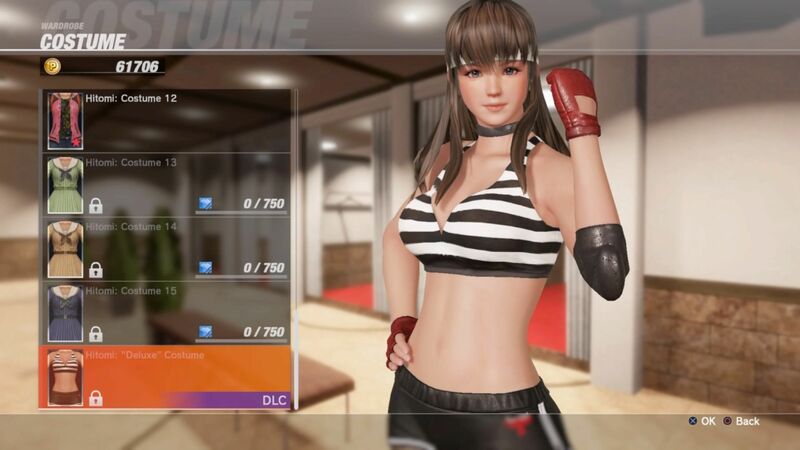 Another great addition to the single player experience are the “DOA Quests.” This mode sees you completing three challenges in a set of over 100 to earn money and clothing materials. These unlock new outfits and accessories for characters. The challenges range from simply countering three attacks to much more challenging ones, like getting through a battle without getting damaged. These challenges were my favorite aspect of Dead or Alive 6, and I spent hours trying to complete them all. Not only are they rewarding, but they help teach you how to use specific mechanics. It also helps teach you to play with all the games characters instead of just sticking to one individual character. I did become frustrated with some of the challenges simply because the challenge is very difficult with specific characters. One example was trying to land a 7-hit combo with Bass, a wrestler who focuses on grapples. Combat sees some nice improvements that help newcomers to the franchise. 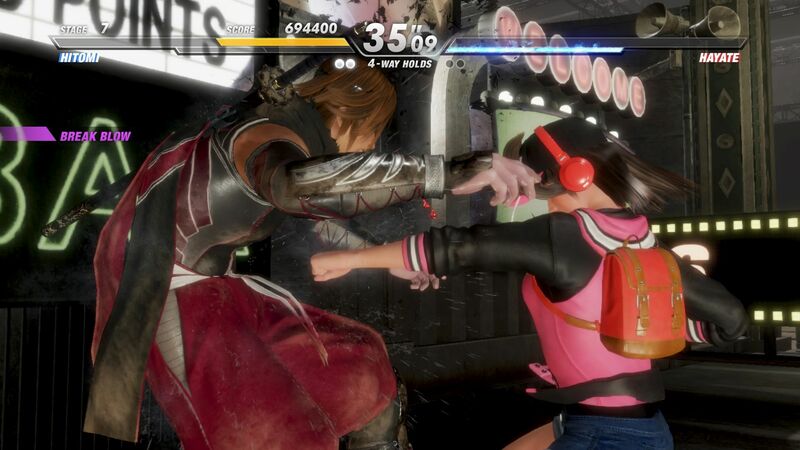 The Break System, along with the Break Bar, is the biggest additions to combat. 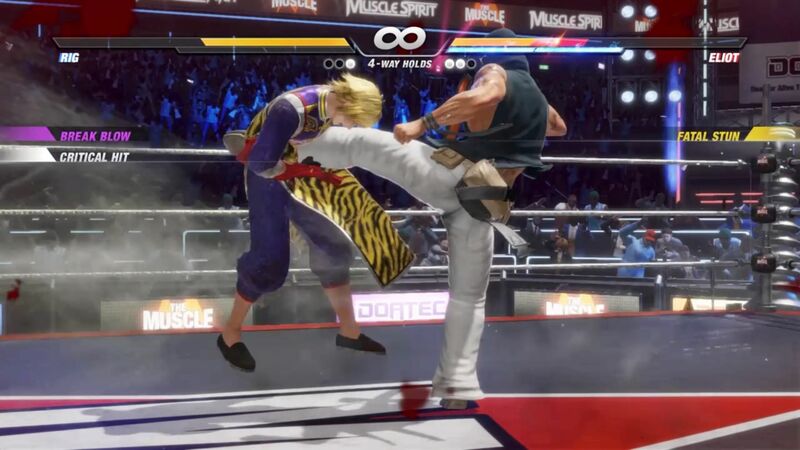 The Break System allows you to simply press one button repeatedly to pull off a combo.If your Break Bar is at 100%, you execute a Break Blow, which is a slow-motion attack, dealing massive damage. The Break Bar is also the only way to counter a break blow or a Break Blow Combo. That’s because if the first attack connects, it causes a fatal stun, leaving you open to attack. This franchise has always been a counter-based fighting game, and counters play a huge role once again. Counters are the staple of Dead or Alive, allowing you to counter every attack coming your way. These counters look as smooth as ever, flowing effortlessly during combat, thanks to the great animations. 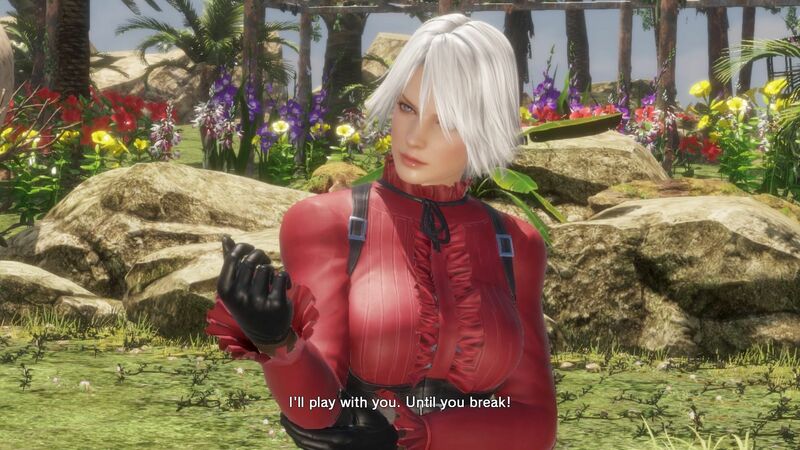 Dead or Alive 6 has also taken steps to improve its image and be taken as a more serious fighter, which it deserves to be. For the most part, the characters have gotten a visual redesign, making them more akin to the more serious story taking place. Characters now bruise, sweat, and their clothing gets torn up and dirty. Unfortunately this new character damage isn’t as noticeable as I would like. Characters clothing gets torn in the exact same location for every character. The bruising and dirt build-up on the characters isn’t really noticeable unless the game zooms in really close to show these new details. There’s plenty of fan service to go around for those looking to enjoy that. Costumes from past can be unlocked through the games, unlocking system and collecting costume fabrics. These fabrics are random, so you may not get the fabrics you wanted for a specific character. Once you collect enough, you can buy that specific costume you want. There’s an extensive encyclopedia that you can read to catch up on the characters and stories of past Dead or Alive titles. You can also listen to specific character stage music, along with various other features. Dead or Alive 6 makes all the right moves to step into a more serious light. The franchise has always been a great core fighting game, and Dead or Alive 6 shows that it can only get better going forward. With plenty of content for both single and multiplayer fans, fighting game fans will find something to love about Dead or Alive 6. Game has fanservice why do you think they charge $100 for season pass. I agree that it isnt toning down sexuality that well… However, Fatal Rush is there in case you feel the need to hit high numbers on combos. I got bass to a 9 hit combo and my highest being Phase 4 at 13 hits… Considering im more of a button masher than someone who takes time trying to learn a combo.